Please contact me regarding the 2007 Sterling LT9513 - Listing# 633113 for sale at TruckerToTrucker.com. Take a look at this 2007 Sterling LT9513. It is Listing# 633113 at TruckerToTrucker.com. 5-2006 & 2007 Sterling LT9513 Tandem Dump Trucks. 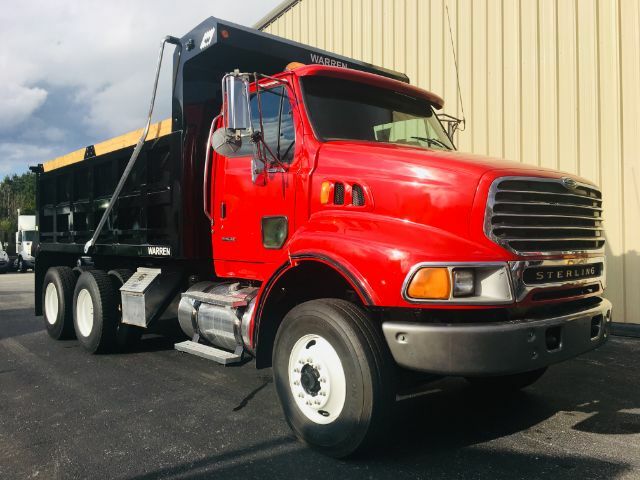 CAT and MBE Engines, 8LL, 18k F/A, 46k R/A, Double Framed, 315 Front Floats, 11R22.5 Drives, Brand New 16' Steel Warren Dump Body, Pintle Hook Tow Package, Tuff Track & Hendrixon Suspension, FOB: McDonough, GA. Coming in February. $49,900 or 52,900 w/New Paint.